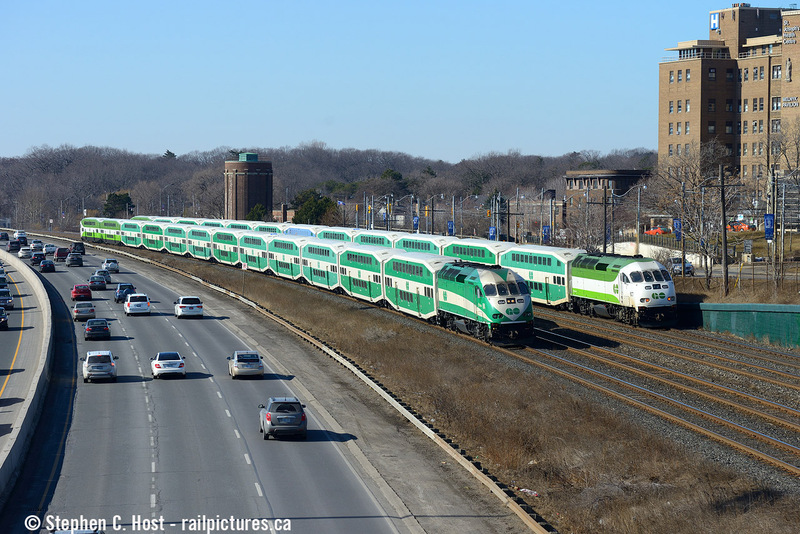 Railpictures.ca - Stephen C. Host Photo: I don’t give GO transit enough attention… and they deserve some lovin’ too , right? Maybe? Well, this isn’t too bad, it’s a nice meet of two GO trains on the Oakville subdivision from the famous Sunnyside pedestrian bridge. This is a place worthy of a visit once a year if you have time. | Railpictures.ca – Canadian Railway Photography – photographie ferroviaire Canadienne. Caption: I don't give GO transit enough attention... and they deserve some lovin' too , right? Maybe? Well, this isn't too bad, it's a nice meet of two GO trains on the Oakville subdivision from the famous Sunnyside pedestrian bridge. This is a place worthy of a visit once a year if you have time. Yep, I spent an hour or two there last fall and while of course it’s passenger-only, it’s still an enjoyable show, especially for an out-of-towner such as myself.